I started my plastic-free life back in 2012 and my gardening life long before that. When it comes to plastic-free gardening, though, I’m still a relative newbie. I lived in an upstairs apartment for my first few zero waste years, so there was no garden to practice with. I’ve been living in our new place, complete with garden, for over a year now, and there’s been plenty of opportunity to learn. 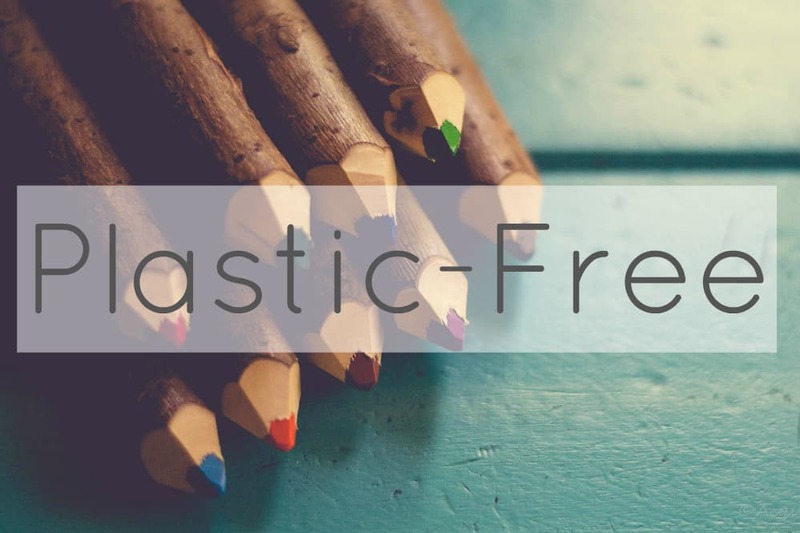 I’ve come to realise that whilst plastic-free might be the goal, there is so much “waste” plastic that can be reused in the garden, that I’m more focused on zero waste (and reusing) than plastic-free. 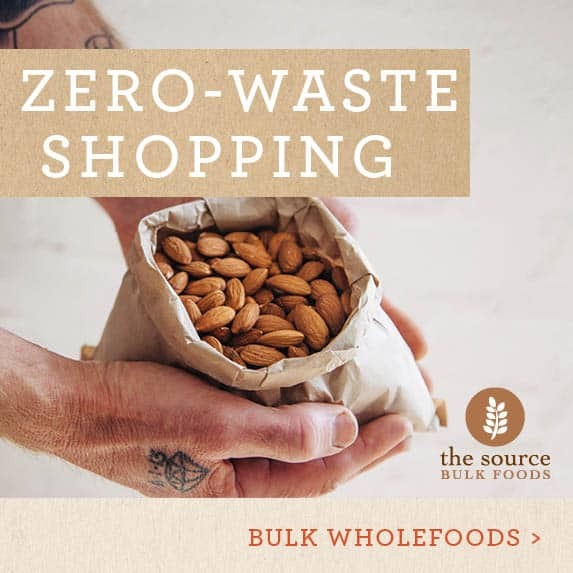 I’d rather use what exists than purchase new “zero waste” items. I thought I’d share some of my plastic-free and zero waste gardening tips, beginning with eco-friendly plant pots. The best way to avoid waste is to grow from seed. Saving your own seeds, and swapping seeds with others, is the best way to source seeds. However, it isn’t always practical. If you’re establishing a new garden, like I was, you’ll probably need to buy seeds. 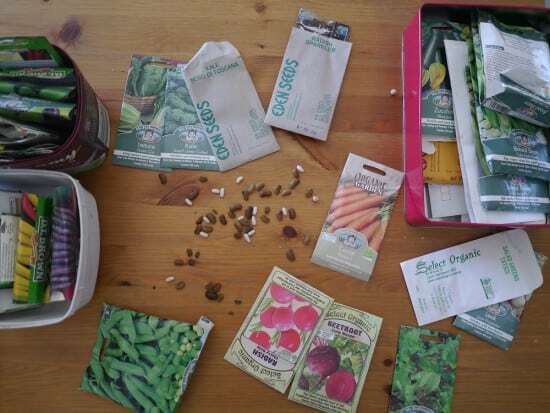 However, before you go shopping, I’d recommend looking for local gardening groups and seed swaps, just in case. 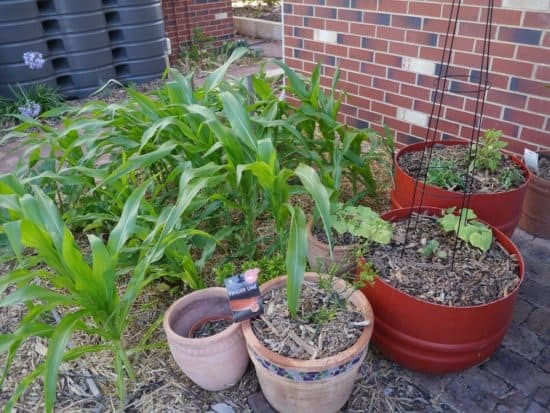 A few of our local libraries even offer seeds to “borrow” – the idea is that once you’ve planted them and have your own seeds, you return these to the library. Some seeds can be sown directly in the ground, but most need planting into trays or pots before planting out. Toilet rolls are the perfect size for seedlings, and you can fold one end over to make a base. However, if you have a productive garden, getting enough can be a challenge! If you need more, Buy Nothing groups and Gumtree are a great way to find them. Similarly, if you don’t need your own, they are a great way to offload them to someone who does. Save them up until you have enough to entice someone to make the trip, and give them away. 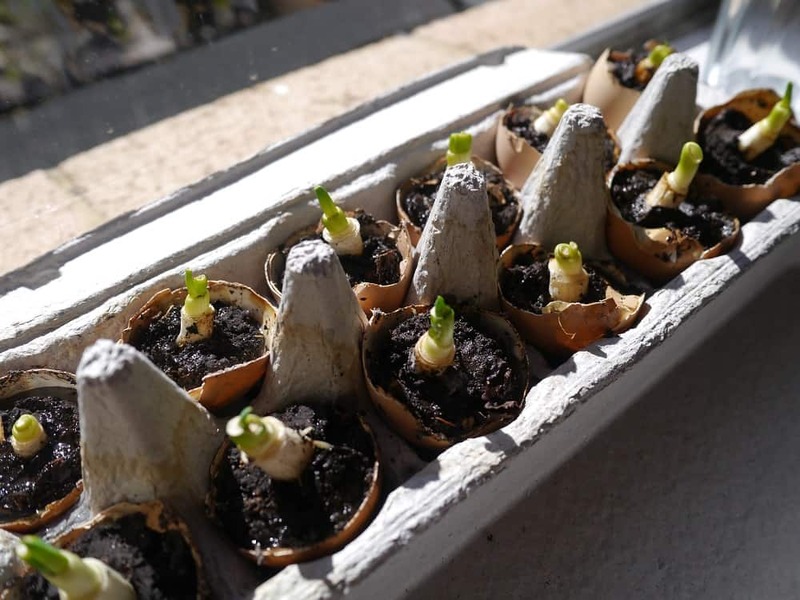 My favourite way to make seedling pots is folding them, origami-style, using old newspaper (you can find DIY instructions for making seedling newspaper pots here). There’s no tape and no glue, no tools required and it takes less than a minute to make one. I love these as, unlike toilet rolls, there’s no need to store them. 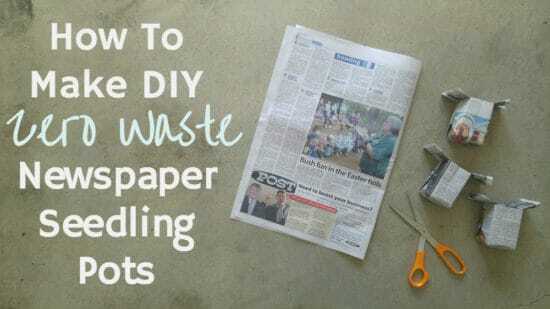 Grab a couple of old newspapers and make everything you need in half an hour. You can buy tools to make newspaper pots. They are usually made of wood, and to make the pot the newspaper is wrapped around a cylinder and pressing into an indented base (here’s an example of a wooden paper potter). Personally I think they are unnecessary, and as a minimalist I like to keep my tools to essentials only. These are wooden boxes that are not compartmentalised, used for seed-raising. They are filled with soil and seeds sown, which can be transplanted once they’ve germinated. Seedling flats can be made from softwood (like pine) or hardwood. If looked after properly and maintained, they can last several years. The most eco-friendly option are those made from reclaimed timber and offcuts. Soil blockers are metal presses that allow you to press soil together to make cells to plant seeds without any other material. I first heard of soil blockers via Milkwood, and whilst I love the idea, I’m yet to give them a go. A friend has recently purchased one so I’m keen to test it out and will keep you posted. It’s worth noting that ‘compostable’ is not the same as ‘biodegradable’. Compostable means it will break down in a compost bin or soil into humus (natural material) with no toxic residue. Biodegradable means it will be broken down by bacteria under certain conditions (often tested in a lab). A ‘biodegradable’ label does not guarantee it will be broken down into constituent parts, only that it will break down small enough that it cannot be seen. It does not guarantee there will be no toxic residue. 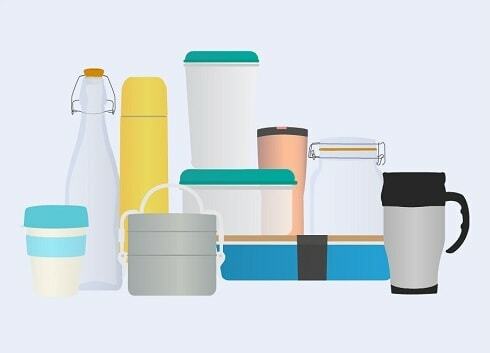 There are a lot of pots that fall under the “compostable” category. 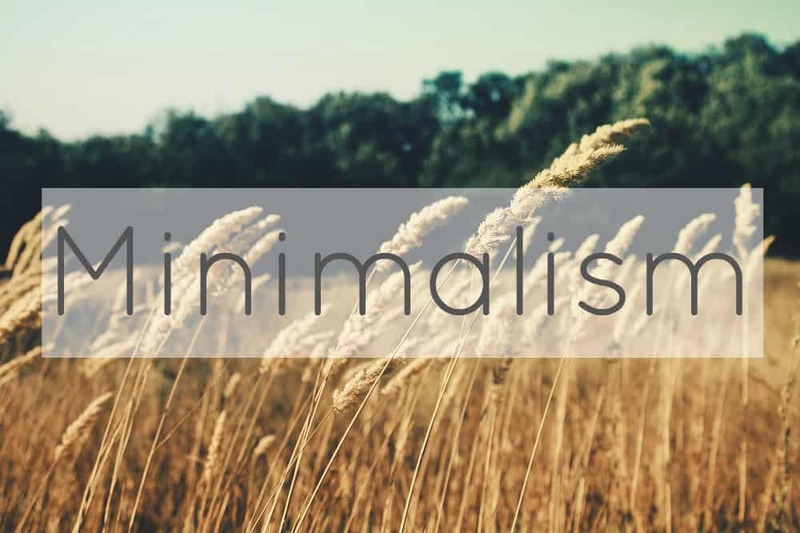 The most eco-friendly ones are natural and made of waste materials like coconut coir or aged cow manure. Less environmentally sound ones are made with brand new wood fibre, and/or peat moss (removal of peat moss has been linked to global warming). Whatever they are made from, they are designed to be single-use. They require energy to manufacture, package and transport. If we can use what we already have, that is a more eco-friendly option. 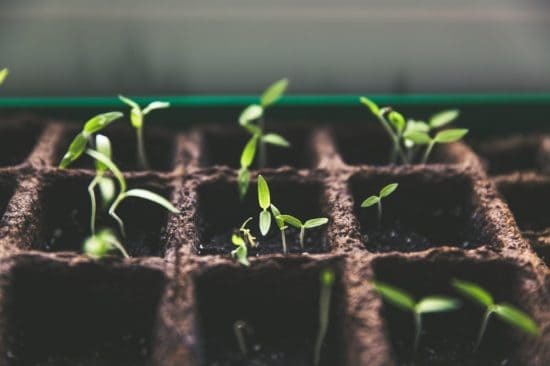 They are more durable than newspaper or toilet rolls, so are a good option for growing seedlings to sell or where they need to look more professional. 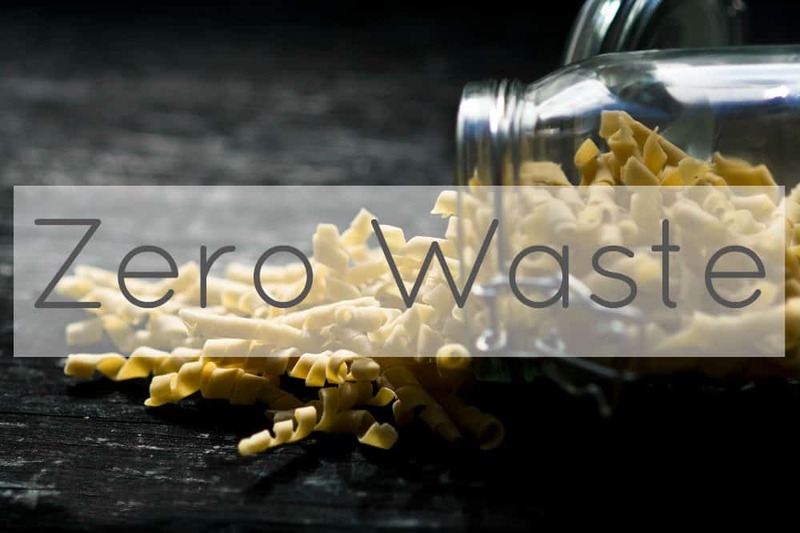 Biodegradable (but not compostable) pots are often made with PLA plastic, also called corn starch or plant-based plastic. This is a polyester made from plant material rather than fossil fuels like traditional polyester. Some PLA pots will state that they are compostable, but this will usually refer to composting under controlled conditions. They should state the test standard used and be “certified compostable.” Without the certification, the claim is meaningless. 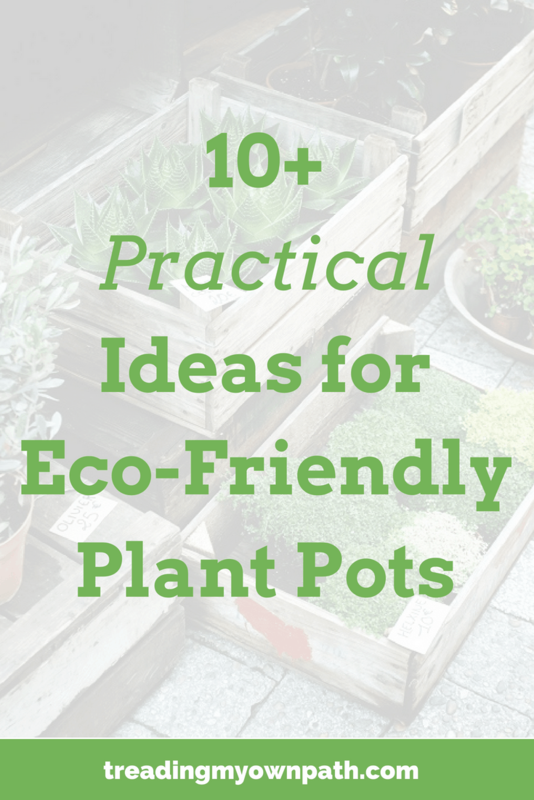 These pots are a more eco-friendly alternative to traditional fossil-fuel based plastic pots. It should be possible to reuse them a few times before they begin to break down. Personally, if a pot says biodegradable but does not say compostable, or is made of PLA plastic, I would avoid it unless absolutely necessary. Eggshells might look cute, but they are ridiculously impractical to fill. I found the same with egg boxes, and they are so absorbent they dry out the soil, but if you don’t live in a hot climate, they might work. On the downside, too cold and damp and they will encourage mold growth. Terracotta pots aren’t great for seedlings as the roots can attach to the clay and get damaged in transplanting. Brand new compostable seedling punnets might sound green, but they seem a waste of resources when there are so many other options to use. Sometimes seedlings need to be transplanted into bigger pots before heading out to the veggie patch. I’m a big fan of re-using what we have. We don’t use plastic at home, but I often find plastic plant pots thrown out on verge collection day, and I collect them to re-use. 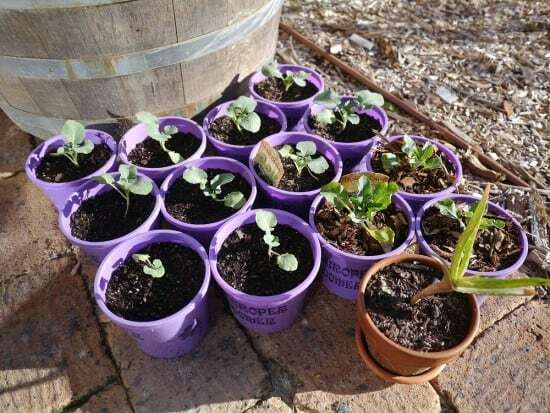 Plastic yoghurt pots, milk bottles and other plastic containers that can all be re-used to make plant pots. Plastic that has been used with soil is difficult to clean and won’t be recycled. That’s fine if you intend to reuse the plastic as plant pots again and again. 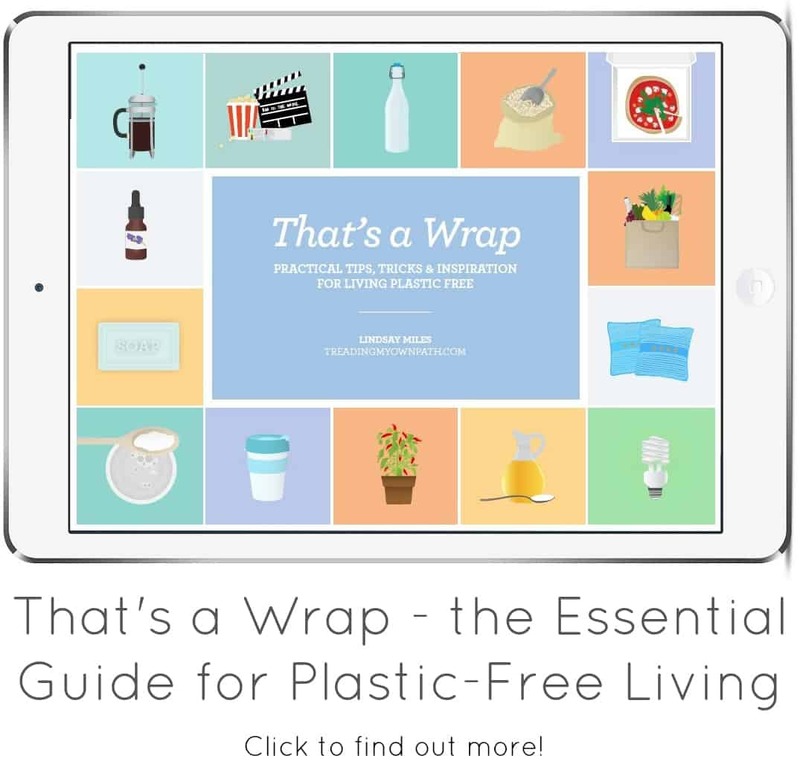 If there’s a choice, it is better to choose plastic that isn’t recyclable over plastic that is, and aim for as many re-uses as possible. Plastic that is left in the sun will also begin to photo-degrade (break down into smaller pieces). They will last better in cooler, shadier conditions. Seedlings eventually grow up, and either go into the garden or need bigger, more permanent homes. Whilst it’s easy to find small pots in various sizes, as the size goes up the opportunities become more limited. 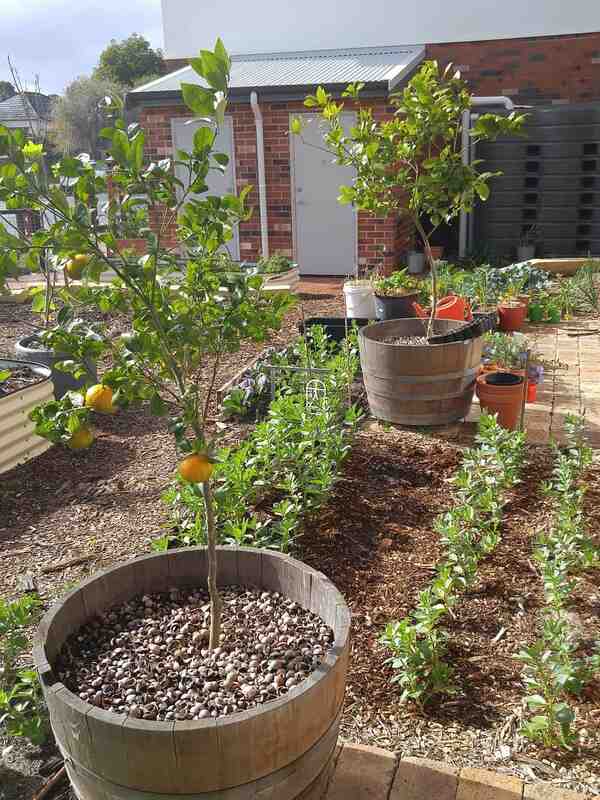 Here I’ve focussed on some of the biggest options, which are big enough to plant a small tree. I’ve found that terracotta pots aren’t great for small plants that I intend to repot as the roots get damaged, but they are a great plastic-free option for bigger plants, bulbs or annuals. We got these pots from the verge when our neighbours moved to Queensland. One thing to note about terracotta – it is porous, which means in hot summers it can wick moisture out of the soil. One solution is to paint or glaze on the outside or the inside, to maintain the moisture of the soil, or choose pots that are already glazed. I love wine barrels. They look beautiful and rustic, and are a waste product of the wine industry, but they are also very expensive to buy. These two wine barrels were purchased several years ago, but now they’d cost more than $100 each. Great for a feature, but not practical if you are on a budget or need more than one. Wine barrels can be stained or varnished to help protect them from the weather, but ultimately the wood will break down. In Perth with its long dry summers, a wine barrel receiving haphazard (or no) care should last several years. In wetter climates I’d expect they’d need more management. Olive barrels are big 190 litre food-grade plastic barrels that olives are imported in. They cannot be re-used by the import/export industry, so they are a waste product. Yes they are plastic, but they are second-hand. Much as I hate plastic, I love re-use,. Most terracotta pots for sale in WA are imported from Italy, whereas these barrels are already here. They are also extremely low cost – one barrel costs around $25 and can be cut in half to make two pots. I would always choose the orange barrels, which are food grade. The blue ones are chemical barrels and most originally contained pesticides and fungicides, or other chemicals. They also tend to buckle in full sun, whereas the orange ones do not. I’ve made all my olive barrels into wicking beds, meaning they have a hole at the side rather than the bottom, and a reservoir below the soil to hold water. This means the soil can wick water from the reservoir in summer, so the plants need less watering. Because a container needs to be fully waterproof to do this, it is difficult to do without plastic. Honestly, it is only your imagination that will restrict you when it comes to finding eco-friendly plant pots. I’ve seen garden beds and plant pots made of old toilets, sinks, bathtubs, metal tins, plastic clam-shells and much more. Just because it isn’t round and sold in a garden centre, it doesn’t mean that you can’t grow something in it! Now I’d love to hear from you! 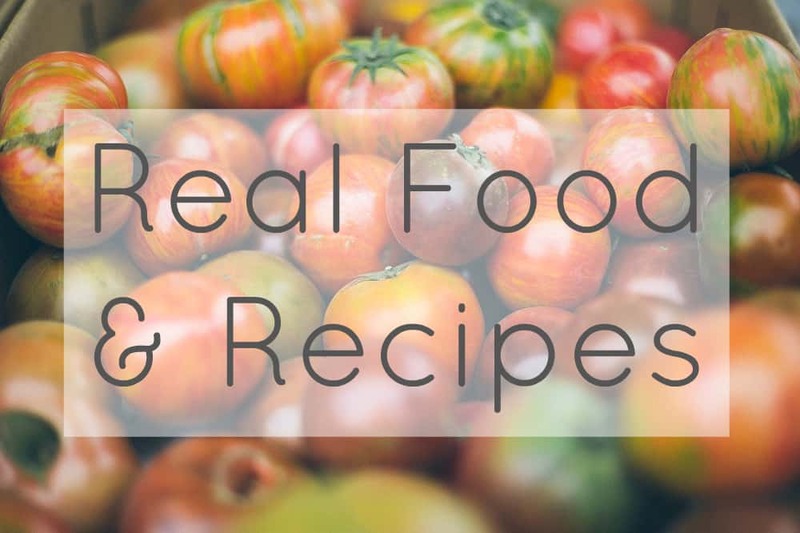 Do you have any other suggestions to add to this list? 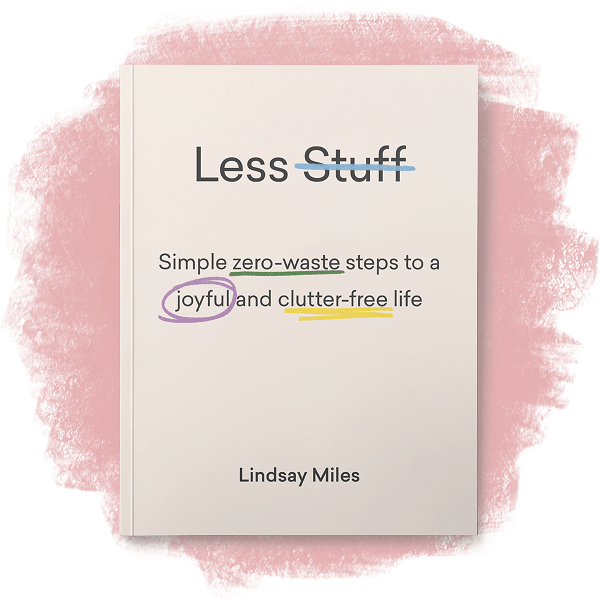 Do you have any “not-to-do”s or things to avoid? What’s the craziest thing you’ve ever seen used as a plant pot? And more importantly – did it work or was it a fail?! Please share your thoughts in the comments below! On our travels around northern England a few years ago there was a village – can’t remember which one – where someone had used several worn out old hiking boots as plant pots. The plants looked healthy and happy in their shoe homes! Stephanie, I feel like I’ve seen a picture of this before – or at least something similar! I think that’s quite a good use of boots if they can’t be resoled. Very English Country Garden! 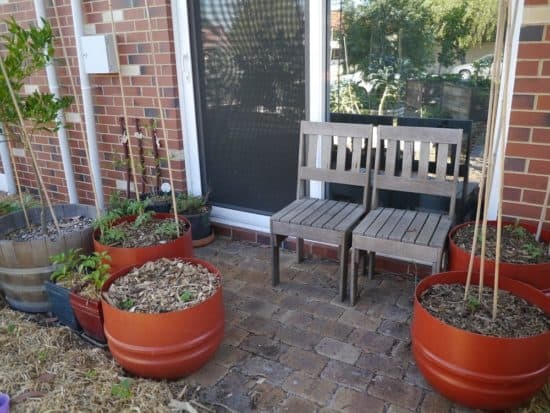 I get used plant pots off Gumtree, always heaps of options. There are also several garden centres around Syd that collect old plastic pots and some allow people to take what they need. 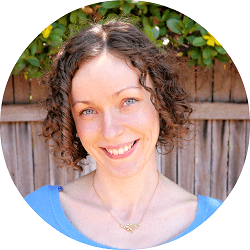 Gumtree is a great place to look, Mel – and for plants too. We have got some from there. There’s a couple of independent garden centres here that do this too, but of course Bunnings won’t let anyone take their pots for re-use. Yet another reason not to go there! My parents used to have large laundry tubs as planters. 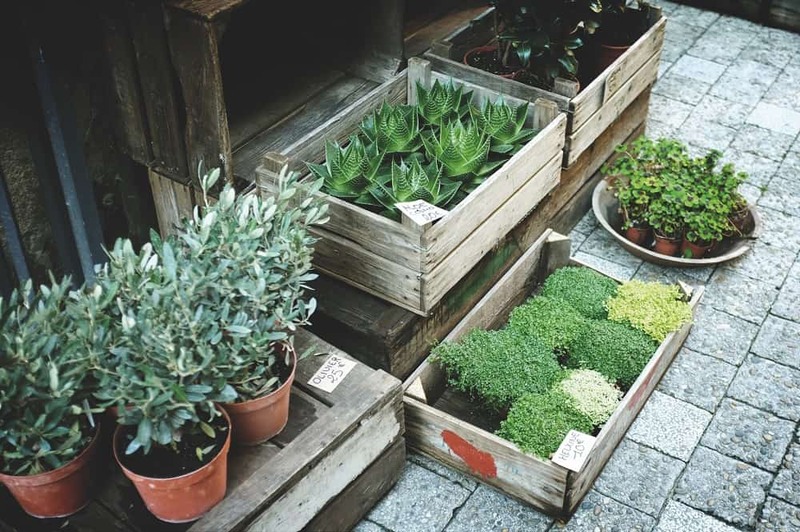 I’m thinking of using some large, old plastic containers as planters – but not for vegetables, as I don’t know the composition of the plastic. Hi Pam, thank you so much for sharing, and I loved having a snoop around your garden :) I’m thinking you get a lot more rain than we do! I loved the laundry tubs, I’ve never come across them before. And the wheelbarrow looks great. Our neighbours rescued on off the verge to do exactly that, but they are yet to plant it out. Great ideas, why buy new when there are so many great recycled options! I work on a farm and the amount of plastic we use for drip tape, row cover, seed trays etc. is scary to think about. There are methods for plastic free farming, hopefully more growers will adopt these ways despite being “less convenient” than plastic. Don’t forget plant labels – old yoghurt pots snipped up make great labels with a permanent marker, and you can reuse them lots of times! Plant labels is actually something I struggle with – as we don’t have yoghurt pots or any other plastic to use! I did save some wooden lollipop sticks from an event to use, but they only lasted the winter and then broke (biodegraded!). I tend to write the colours or shape of the pots in a notebook for reference. It works…mostly! Thanks for this post. I have been recycling plastic but am fed up with finding little tiny bits of plastic all over my garden, so am really looking for alternatives, especially for sowing as the recycled plastic is particularly fragile, and for tying as any plastic ties I have recycled (except nylong stockings) end up disintergrating and polluting my garden. For plant labels I use flat ice-cream sticks (it means buying industrial ice creams on sticks, admittedly, but people give them to us !) They can be marked with a pencil or biro, but it wears off in the end. The best is to burn the words on. They can be sterilised and reused any number of times. Thank you! Yes, I hear you on the microplastic. It frustrates me no end that these plastic pots aren’t UV stable and break down and shed microplastic all over the garden. I have saved some wooden lolly sticks from an event I was involved with for plant pots. But my labelling wasn’t very clear and they were impossible to read. Burning – yes, that makes more sense! Where can you buy the olive barrels from? ive been using POT NOODLE pots donated from workmates for potting on.